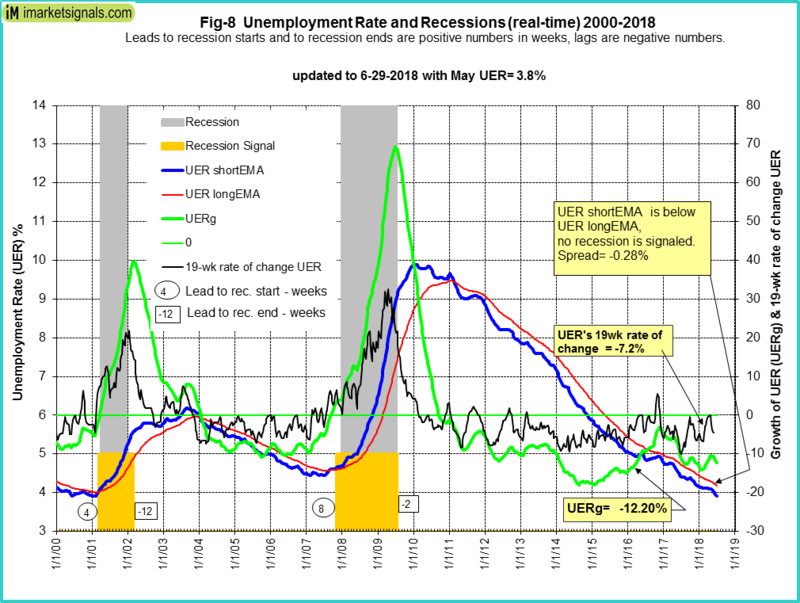 The unemployment rate recession model (article link), has been updated with the May UER of 3.8%. 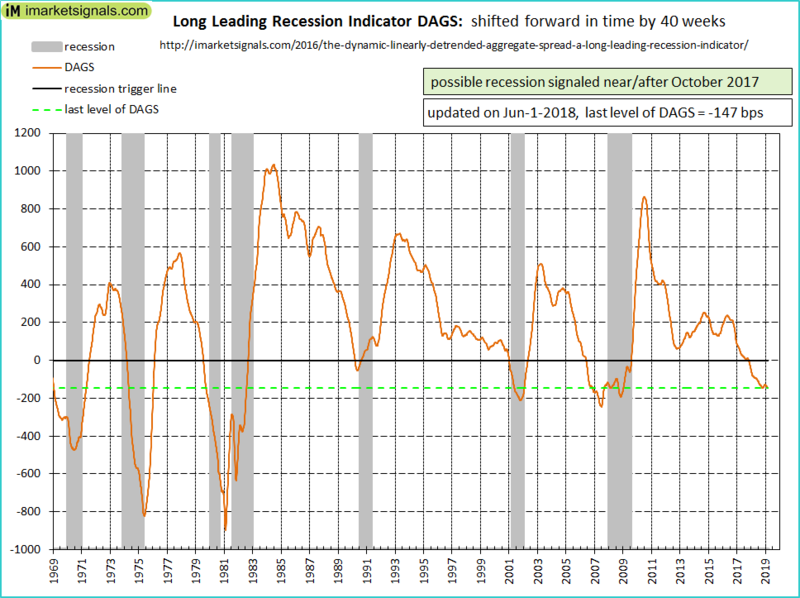 Based on the historic patterns of the unemployment rate indicators prior to recessions one can reasonably conclude that the U.S. economy is not likely to go into recession anytime soon. The growth rate UERg is at minus 12.2% (last month minus 10.76%) and EMA spread of the UER is at minus 0.28% (last month minus 0.2.3%). Here is the link to the full update. 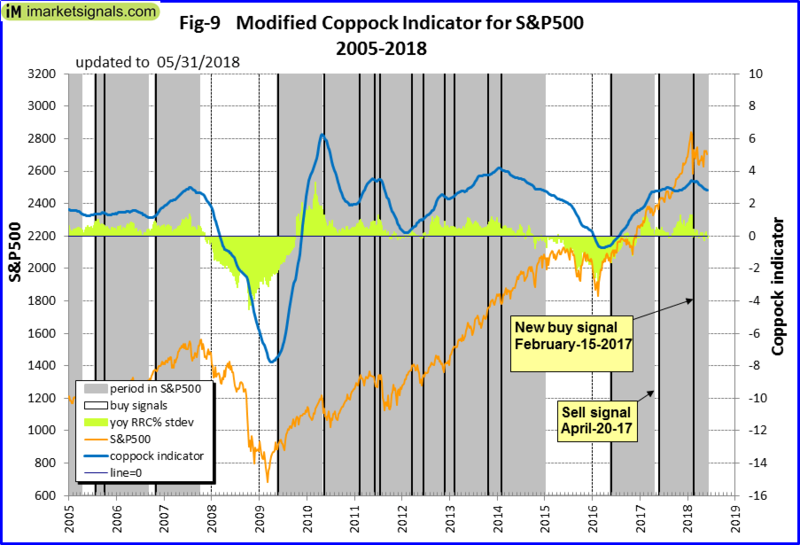 The Coppock indicator for the S&P500 entered the market end May 2017 and generated a new buy signal in mid February 2018 This model is in stocks. This indicator is described here. 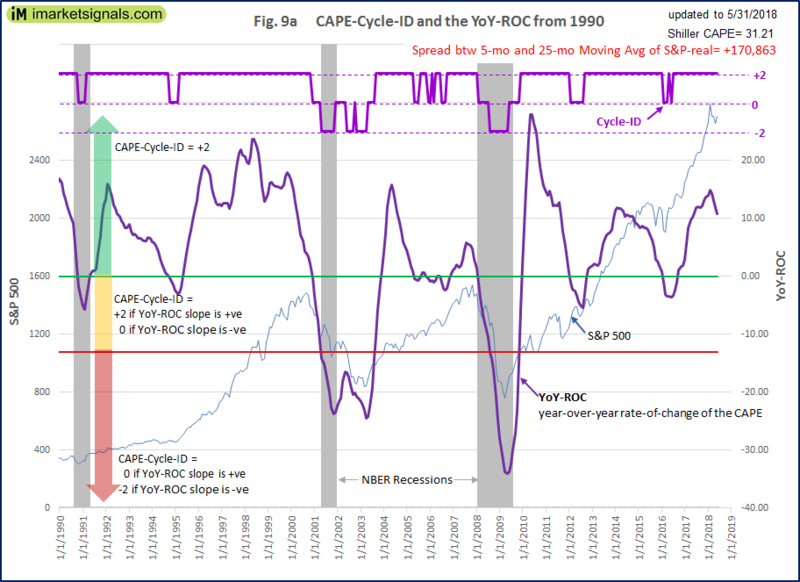 Fig 9a depicts the CAPE-Cycle-ID and the year-on-year rate-of-change of the Shiller CAPE. A model using this indicator invests in the market when the Cycle-ID is +2 or 0, and when the Cycle-ID equals -2 the model is in cash. This indicator is described here. 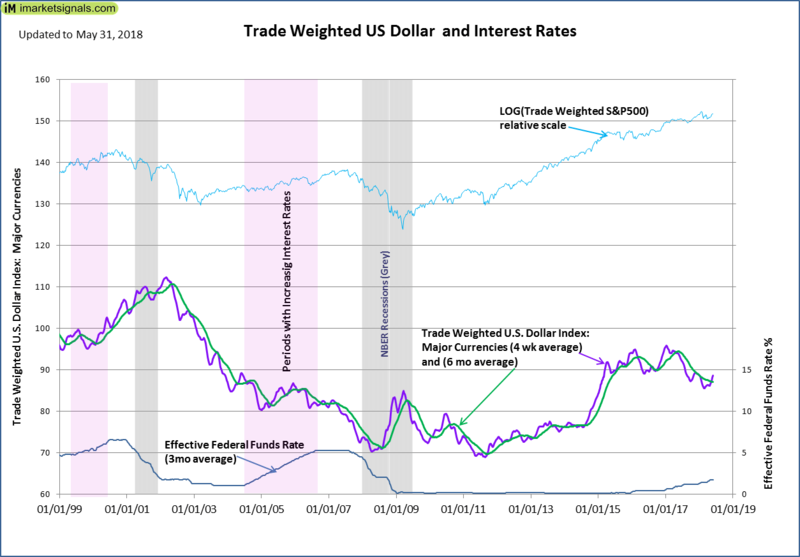 The Trade Weighted $ value is strengthening. 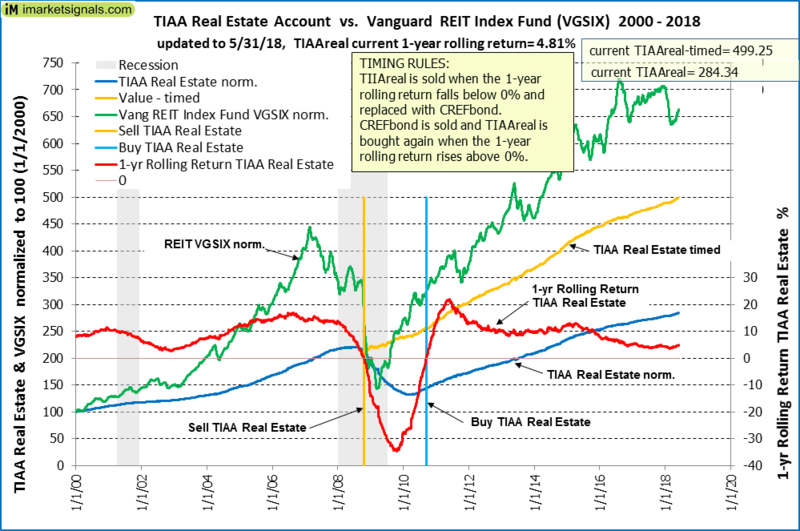 The 1-year rolling return for the end of last month is 4.81%. A sell signal is not imminent.